communities, intelligent buildings, hotels, subway stations and other high level venues. 1.Elegant appearance: 304 stainless steel cabinet and the color of arms can be optional for several color. 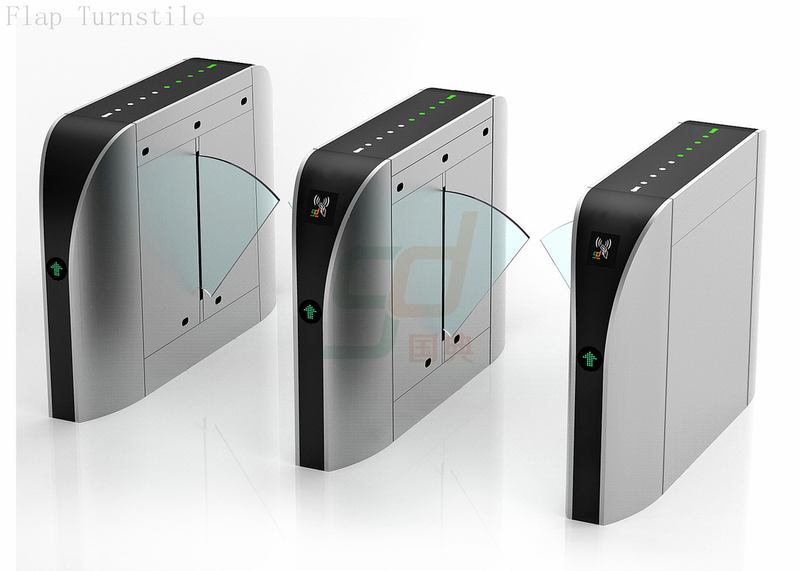 , offering complete entrance control solutions. 3.Malfunction self-detection, which is easy for operation and maintenance. 4.Operational mode can be set up through the built-in menu on the control panel. detected during closing, the arms wing will stop its movement to prevent the user from being clamped. 6.Anti-collision function, the flaps will stay close if not receiving the open signal. emergency. It will open automatically in case of emergency. 8.Flaps reset to close position when power resume.